- Maximum output is: 35000 R.P.M. We bring forth to our clients high quality Control Unit for Micro Motor, which is being provided by us with a 15 control unit for micro motor. This also comprises of a speed control box, foot switch & stand for micro motor and hand piece and is further suitable for all types of micro motor. used by by dentist & jewellers worldwide. We are engaged in offering a top-of-the-line assortment of Micromotor with Straight & Contra Hand Pieces. Our range of products is extremely modern in design & operation and is designed to fit comfortably to the users hands. Easy to operate on these micromotors can be worked with for long hours, without fatigue. 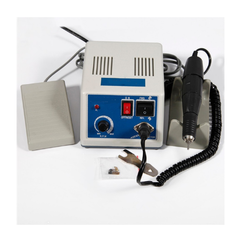 - Dental Engine for clinical and phantom Lab Work. - Most Economical & Compact. - Electronic Control which has smooth start and attains high speed quickly without any jerk. - Facilitate motor to start at any speed stop at any speed. Mighty Brushless Micro Motor (40, 000 RPM) with Z-34 Control Unit Foot-Switch & Hand control of speed. Speed-X Micromotor(Setlac OEM Motor) with 35, 000 RPM high torque built in safety device with foot control. 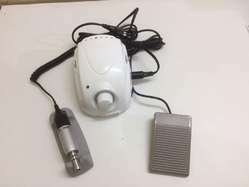 Oral Surgery / Implant Micromotor Surgitron Setlac (40, 000 RPM) with built-in Peristaltic pump. Foot switch for reverse and forward direction. Digital display of bur speed. We thank you for showing interest in the product. We request you to please fill in the details on the “contact us form on your right and we will have one of our representative get in touch with you at the earliest.